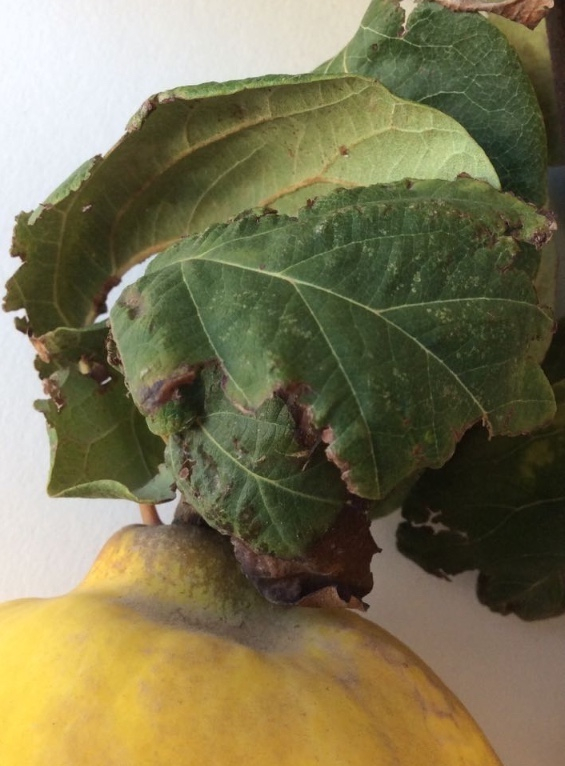 Quinces have an old world delight about them, and the trees fruit at the end of summer, accompanied by crinkly, dying leaves. 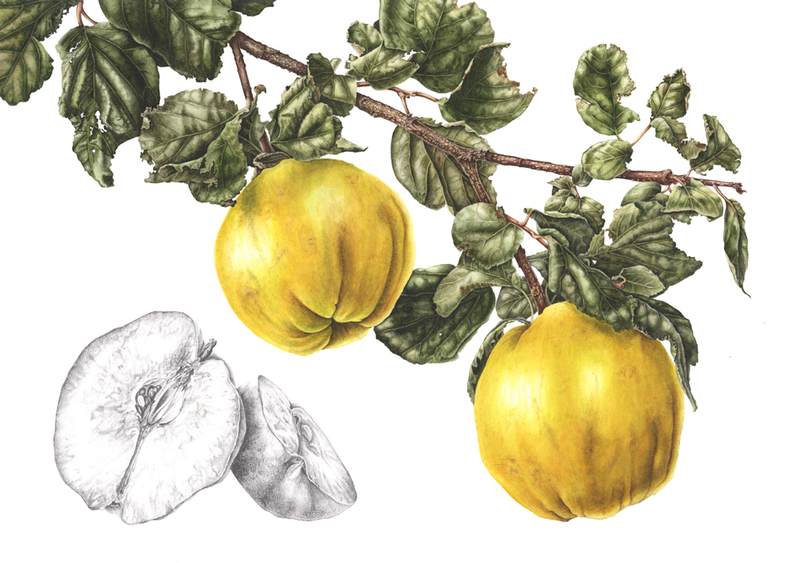 The quince is native to central Asia. 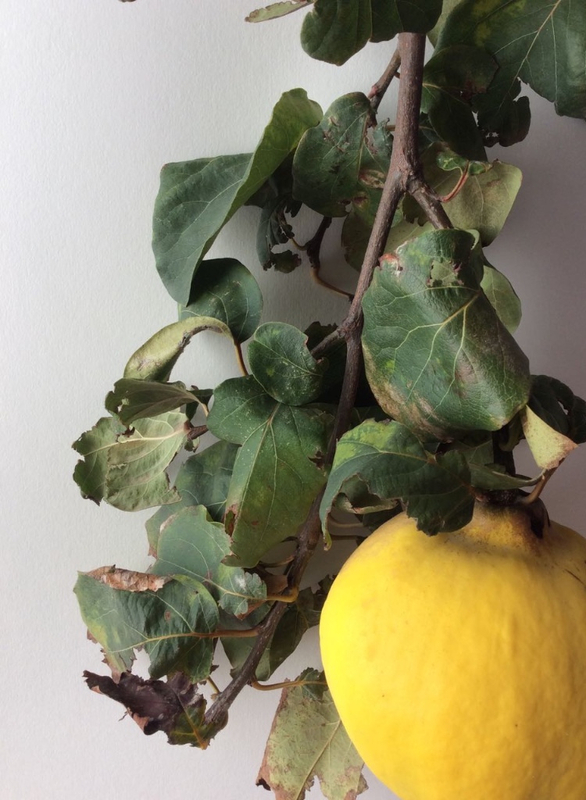 Quinces need a long growing season to ripen well. 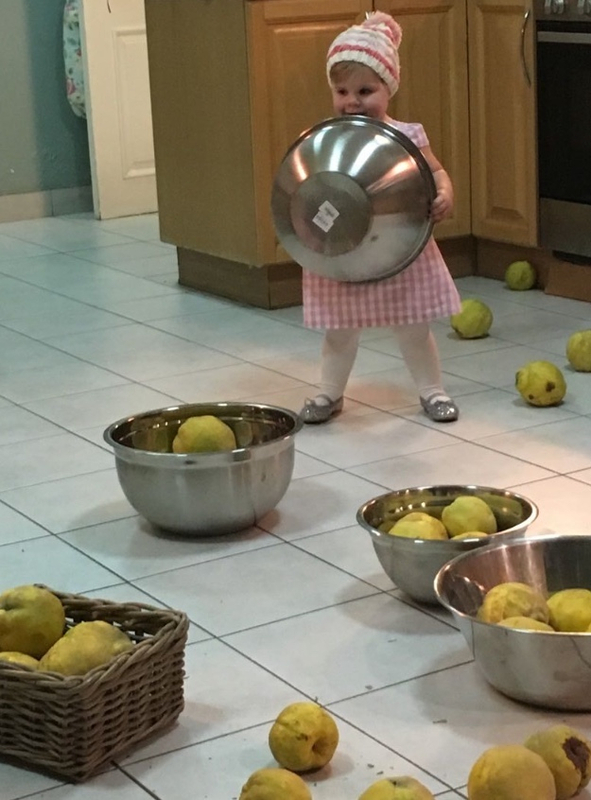 The quinces painted here were planted by the artist in her garden in Amman, Jordan, in the spring of 2013 as saplings, and had grown into splendid maturity and healthy production by 2015, when these fruit were painted (from two trees around 50 fruits were harvested). This fruit study includes graphite work of the open fruit in order to illustrate more clearly how the fruit appears when cut. The slow perfume of cooking quinces and the garnet red which emerges is one of the deep delights of autumn. Portraying the breathtaking beauty of nature.